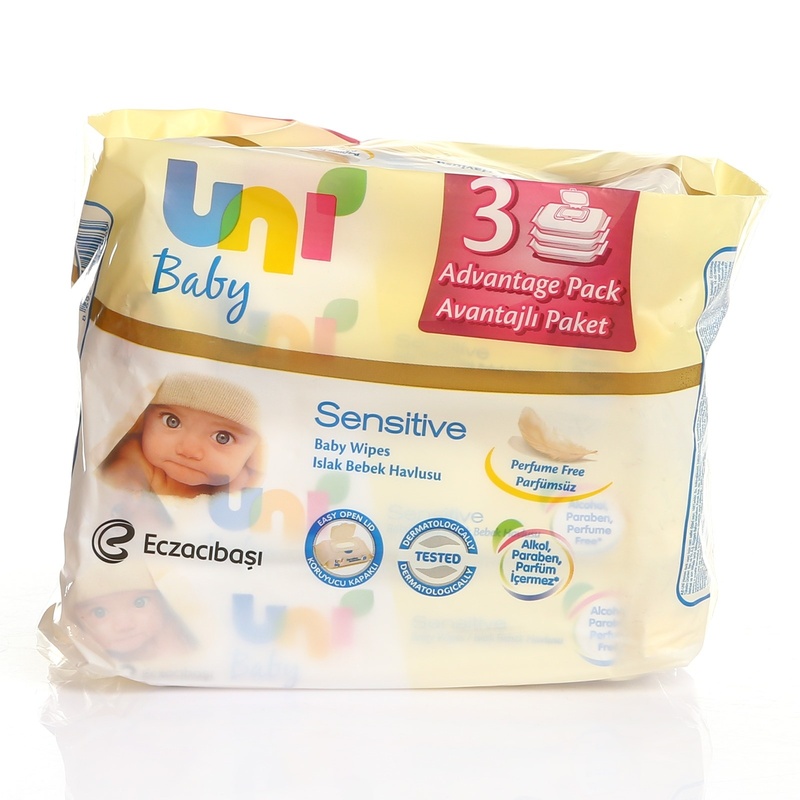 Uni Baby Sensitive, with its non-rickety, perfumed formula, will be your greatest help. 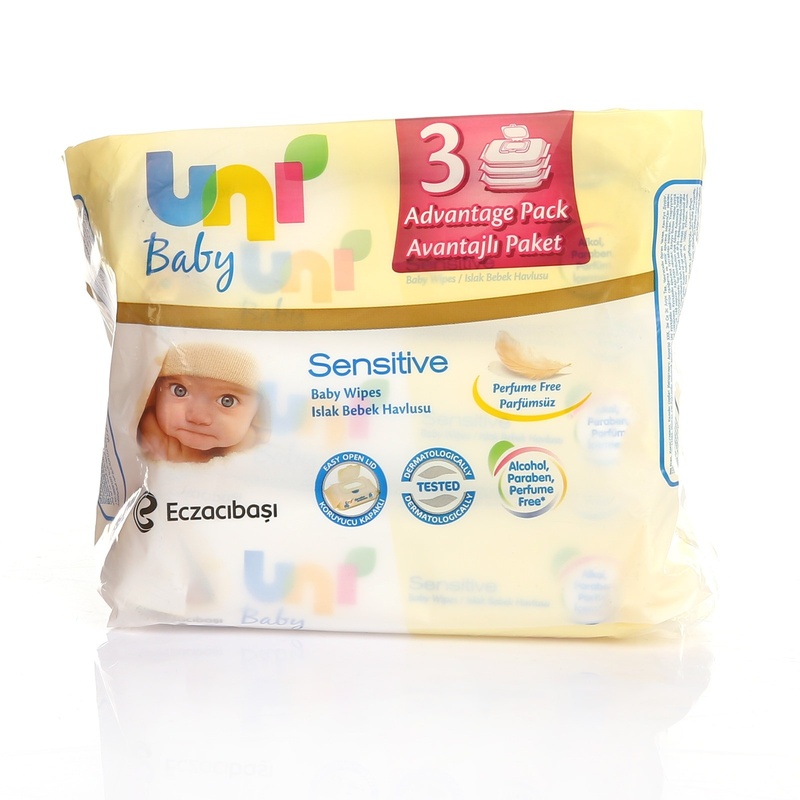 It does not cause allergies in your baby's body with its non-irritating soft texture. 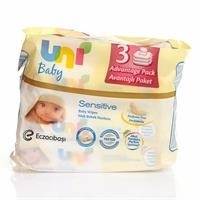 You can guarantee your baby's health and hygiene with Uni Baby Sensitive quality and provide your baby with non-rash, no allergies and safe care. You can use our handkerchiefs which are passed through quality control and process by applying all dermatological tests. Thanks to the effective formula of Uni Baby Sensitive wipes, you can provide the hygiene you need with a single tissue; In this way, you can keep track of your budget with packages that can be used longer. 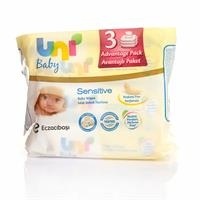 Uni Baby Sensitive, odorless structure can be used all day long. With its thick cottony texture and pure formula, it provides effective cleaning and soft care on your baby's diaper area and whole skin. Its soft formula nourishes and moisturizes the skin. It does not contain perfume for sensitive and allergic skin. It helps prevent rash in regular use.